WATCH AND GET INSIGHTS. LIVE, ON THE GO! A web talk show that will feature subject experts, industry leaders and professionals who will share their precious wisdom in snippets over live webinar sessions. It involves interviews, Q&A, Presentations, debates and much more. HOW TO BUILD YOUR ONLINE TRAINING SCHOOL? Take your training academy to the next level - Go online! 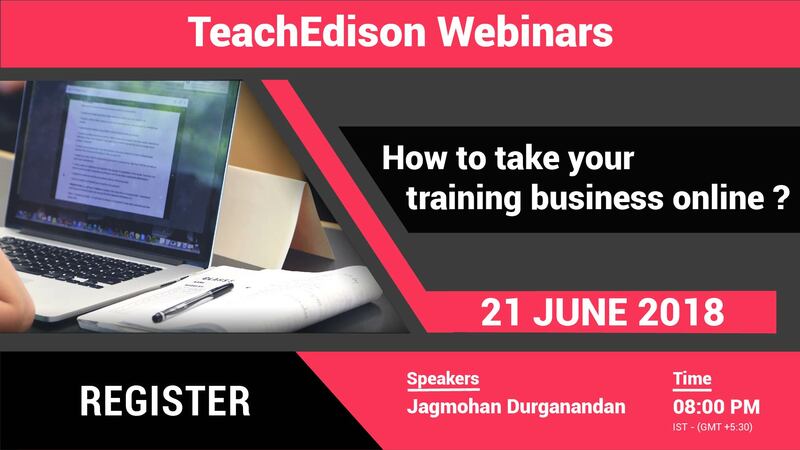 This webinar provides you with all the vital information for establishing your online academy. Register below! How to take your training business online ?